Do you have one foot in the future? Paul Bowden, Sales Director Bosch Rexroth UK, shares his insight into some of the common myths and misconceptions that are barriers to the implementation of Industry 4.0. For manufacturers, today’s marketplace presents a world of opportunities. But to maximise that global potential manufacturer must adapt – they must change the way they do business…. The world around us is changing. Global competition, increased cost pressures and heightened quality standards are just a handful of elements having an impact on industry and industrial automation. How can we create a so called ‘smart factory’ which is both fit for the future and flexible enough to respond to a rapidly-shifting global marketplace? Well, if you look at the elements of a factory which can’t be revolutionised by automation, very little remains: the floor, the walls and the roof. The rest of the factory: the machines, equipment, communication paths, even the people and how they work together, can be transformed to meet the demands of modern industry. Through the Factory of the Future, Bosch Rexroth is leading the way in demonstrating the potential of an automated future; a future in which manufacturers can easily adapt to changing trends, meet the demands of shorter lead times, produce customised products as required by consumers, and deliver, fast. 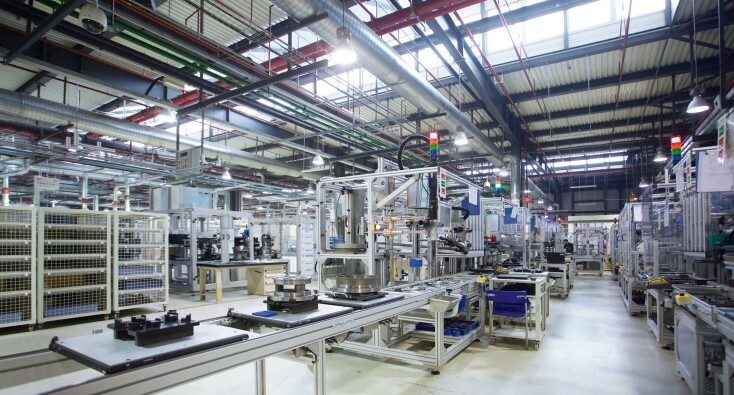 Equipped with a wealth of IoT-connected devices and Industry 4.0 principles, our Factory of the Future has a simple aim: to increase Overall Equipment Effectiveness (OEE). 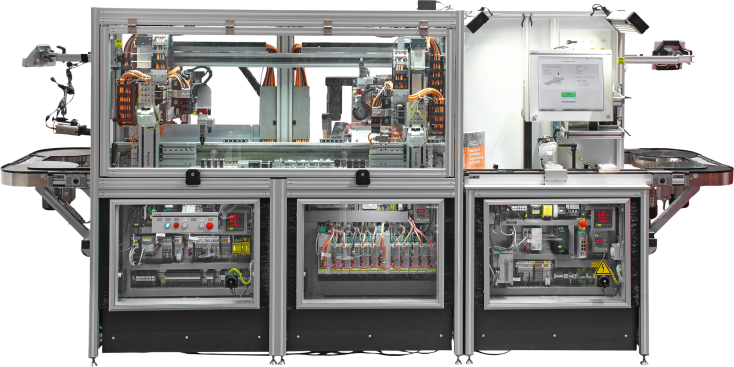 Combining an extensive array of sensors, open software, hardware and smart controls, Bosch Rexroth brings intelligence to mechanical assemblies. This enables effective condition monitoring, predictive maintenance, process optimisation and full traceability, contributing to a significant improvement in OEE and essentially supporting manufacturers to meet demands for years to come. Beyond ensuring the effectiveness of these transformational technologies, Bosch Rexroth is driving accessibility through scalability. The Factory of the Furure is not an end in itself, but a continuous process of embracing new technology and innovations - a step by step evolution. That way, facilities of all sizes and ages can move towards digitalisation in their own time, capitalising on every change. How will workers within manufacturing operate in the factory of the future? A research facility called Future Work Lab, opened by Dr Joanna Wanka, the German Federal Minister for Education and Research, has investigated what the factory of the future could look like, and how the companies can strive to achieve greater levels of productivity, efficiency and profitability using Rexroth products. The Karlsruhe Institute of Technology, with the support of GAMI provide China with the foundation for intensive research, as well as training and education to facilitate the trend towards digitalisation; supporting the Made in China 2025 programme. 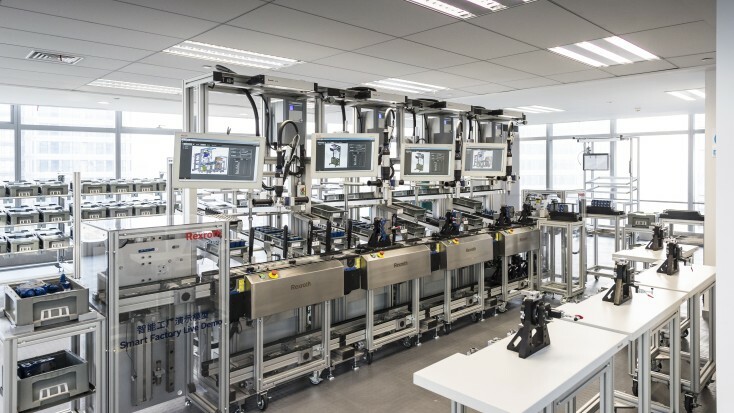 Through Rexroth technology, a cost effective, practical and a highly flexible assembly line to accommodate the future needs of the market place. The Smart Factory is a pilot plant in Germany demonstrating the feasibility of Industry 4.0 for manufacturers around the world. One of the major hurdles in developing a universal solution for digitalisation in manufacturing is the lack of universal standards, as well as the threat of cybercrime and the challenges around data security. Since its launch in 2005, the Smart Factory has tried and tested dozens of ideas and hundreds of components. The Qinchuan Machine Tool Group (QCMT&T) are a leading Chinese company within their industry and were looking to make their production leaner, smarter and more efficient. This was made possible with Bosch Rexroth technology solutions by adopting Industry 4.0 concepts to create a fully connected assembly line for their production of robot gear boxes. Combining humans and digital intelligence. The production line is a critical operational element for any manufacturer. The more streamlined it is, the higher the levels of productivity. The more flexible it is, the better served customers are. The more intelligent it is, the more competitive manufacturers can become. 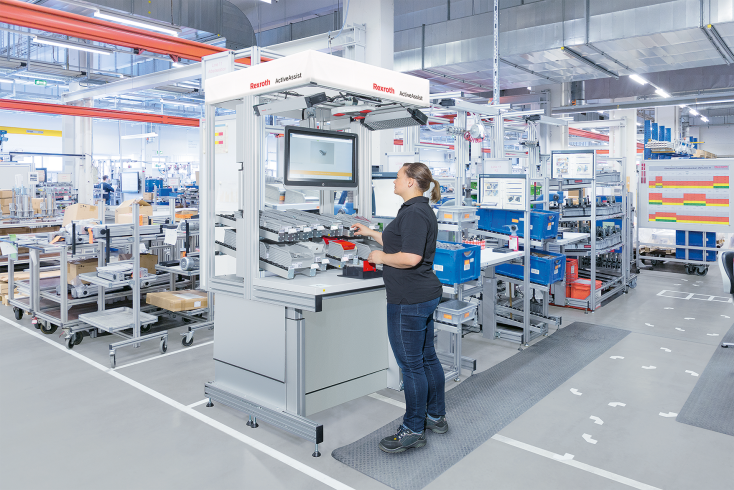 That’s where the Bosch Rexroth configured intelligent production line comes in. 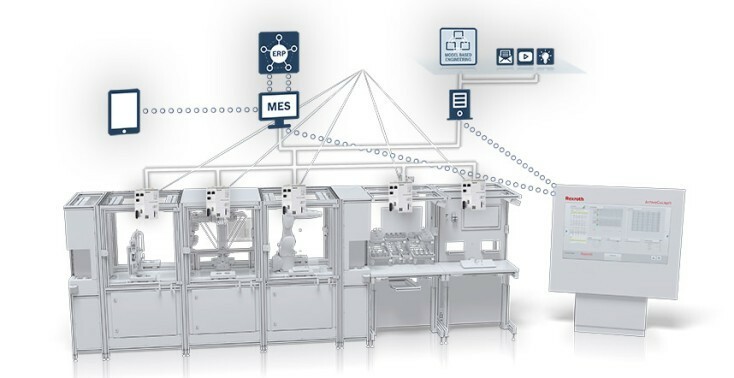 Combining fully automated and manual stations, and systems from third-party suppliers, the traditional assembly line is transformed into a fully networked system fit for the future. Bosch Rexroth's factory in Lohr-Wombach have seen the benefits of adopting Industry 4.0 initiates to create a stable and robust factory where faults are very rare, and have sustained competitiveness through continuous process improvement. This was made possible by networking production systems of new and existing machines, with a quick-to-install solution to reduce downtime.